The book's structure follows the standard pattern for Osprey Publishing's Elite series. Chapters are short and melded into one another providing for a swift read. The photographs are an uneven mixture of low, medium , and high quality, most are in the medium range. The illustrations are of the usual high standard as evident by the example on the book's cover. The author provides a fair overview of the core subject matter. All pertinent topics are touched upon: politics, economics, and military. 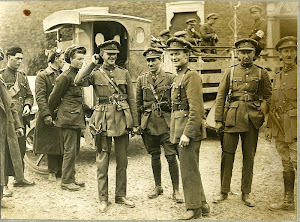 As typical with Osprey's Elite and Men-at-Arms series books, organization and uniforms are the central point in the book. These elements are most critical to the wargamer. Unit insignias are also covered, and quite pleasantly a good number are included. 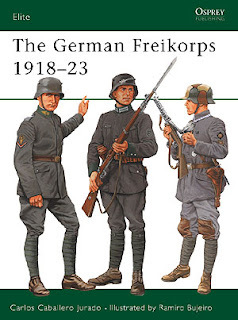 With so few (less than a dozen) books on the German Freikorps available in english, it would seem a basic requirement to purchase a copy of this book. If you don't own a copy already, I must ask you, "why not?"